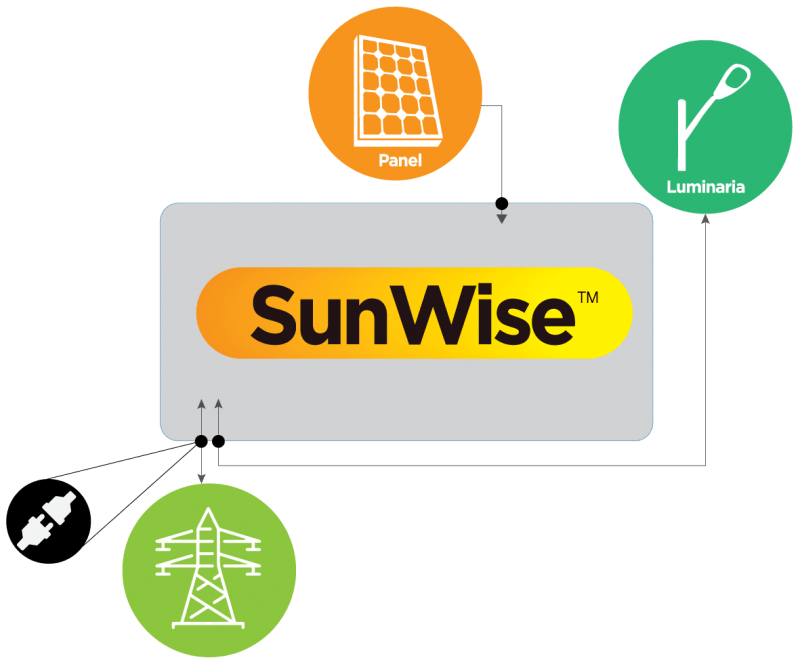 SunWise is an intelligent and advanced electronic system that uses solar radiation, converting it into electrical energy that is sold to distribution companies or applied favorably by municipalities, public lighting concessionaires, industrial parks and closed urbanizations, among others. To achieve this transformation, the system has different electronic modules, controlled by a powerful microprocessor, which are responsible for capturing, transforming, measuring and delivering energy to the electricity grid and powering the public lighting system. The solar panel or photovoltaic panel is the module in charge of capturing solar radiation and transforming it into direct current (DC) electric power, which is carried to a high performance MPPT (Maximum Power Point Tracker) electronic module with the ability to operate under different levels of solar energy and an energy efficiency greater than 99%. 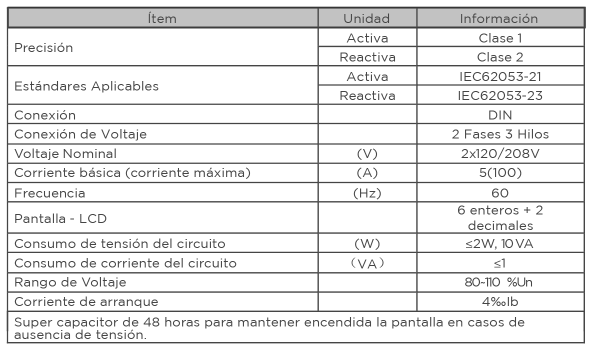 This module converts the energy into alternating current (AC) through an intelligent electronic system that controls the instantaneous characteristics of voltage, current and frequency of the network for a perfect coupling of the currents (the current of the Network and the incoming of the system ). During the day the system can generate more than 2 kW per day based on a 300W photovoltaic panel and sufficient solar lighting. The system can be powered by two panels and thus produce more than 4kW per system. During the night the luminaries have a consumption of 15Wh which are fed with energy that comes from the Network. The system incorporates a communications system under the IoT LoRa platform that sends the energy delivery records to the network and the consumption of the luminaires. 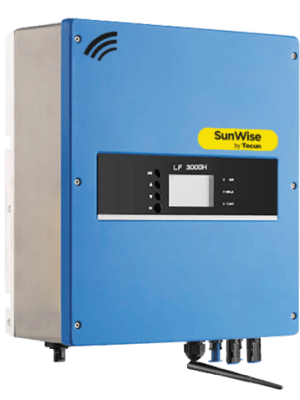 This data can be read with a programmable frequency in order to establish load profiles and remotely monitored for alarms in case of malfunction of any of the modules of the system, including the state of the solar radiation on any of the systems in operation. Measurement of total active energy and of each of the phases. The system uses LoRa / LoRaWAN technology from RisingHF Technologies or Symphony Link from LinkLabs for communication with the control center and uses the DL / T645-1997 protocol for the storage and transmission of information. Bidirectional measurement (towards the network / from the network). Voltage and current of each phase, frequency, instantaneous active / reactive power of each phase, total power factor, power factor of each phase, active / reactive energy total, active current demanded. The data is recorded every 5 minutes with a capacity to store 2016 records. Once disconnected, the system reports this status to the control center.